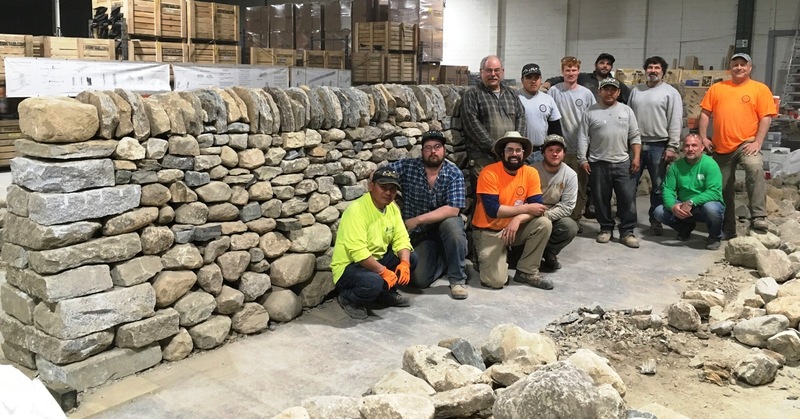 .At Stoneyard in Littleton, MA, we had a great 2-Day Walling Workshop with an enthusiastic group of participants. In a wonderful indoor space and with good material, they built 35 feet of wall that was 5 1/2 feet tall and included a cheek end. Special thanks to Dave, Jerry and Gene for their help in setting up the workshop and their overall support. See all The Stone Trust photos below. For additonal photos as well as some video, visit Stoneyard‘s website.